„Hamburg will celebrate the sixth India Week from 2nd to 8th November this year. More than 60 events covering economy, culture, science and education, politics and society will showcase the profound expertise in Hamburg relating to India. „What started as an initiative of the German-Indian Round Table (GIRT) in 2007, has become an institution over the years. 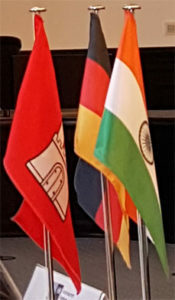 Due to its growing size and wide range of topics, the event takes place every two years since 2009 and is organized under the lead of the Senate Chancellery together with the Ministry of Culture in Hamburg, the Hamburg Chamber of Commerce, the HWF Hamburg Business Development Corporation and the German-Indian Round Table as well as the Hamburg Representation Mumbai. Another important partner is the Consulate General of India, Hamburg.